Wear normal work inside and outside the factory. I feel like wearing alone or wearing under the work clothes. Overall a fever. 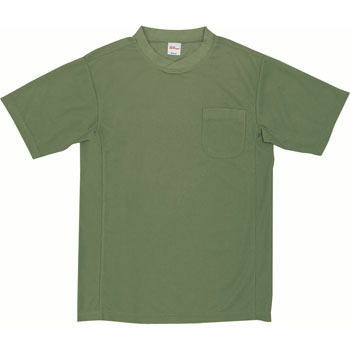 It is made much smaller compared to other T shirts. Even though it is 5L, I feel it to about 3L. Especially the circumference of the neck is cramped. I do not need a pocket size UP is desired. Or should I increase the size variation with 6L / 7L? The good point is the material and making. It is a feeling that it will not collapse even if it is washed a lot of times making it cool. Mesh material is also ◎. If the size is improved, there is no repeat mistake. This review is about item#07563473.